Kate and I are, as we speak, having a very high level, top secret business meeting to discuss some very exciting Book Box Club plans. Don’t worry, our business meetings mostly involve lots of book chats, cups of tea and online Etsy browsing – and that sounds like a great way to spend a weekend to me! Just before we start announcing some of our exciting future plans, we thought that we would have a look back over last month’s box. 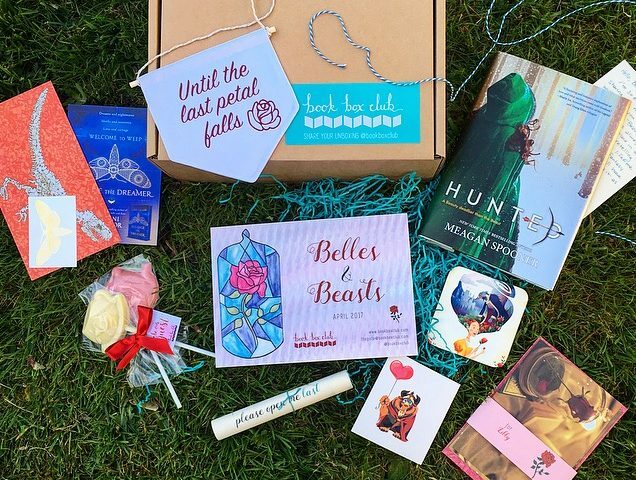 Thank you to all of the brand new Book Box Club members who joined us for our April box, Belles and Beasts was a very exciting theme to put together and we are thrilled that so many of you are big Beauty and the Beast fans too. To all who have just joined; welcome to Book Box Club! 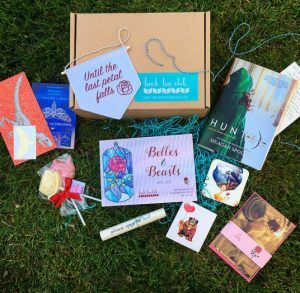 We get so excited each month to see people unbox our boxes on their social media. It literally makes us squeal with joy and we spend a lot of our time in the days after send out on the phone to each other saying “did you see? So-and-so got their box!” It’s so much fun hearing how people enjoy their parcels and it just makes all the hard work we put in to the planning, wrapping and packing worth it! If you have yet to post your unboxing photos do, and don’t forget to tag us so that we don’t miss anything! Belle Coaster by Bird Illustration: A dreamy fairytale coaster to brighten up even the dreariest of west wings by the lovely Bird Illustration! Bookish Goodies: With thanks to our friends at Hodder & Stoughton & David Fickling Books. And there we have it! 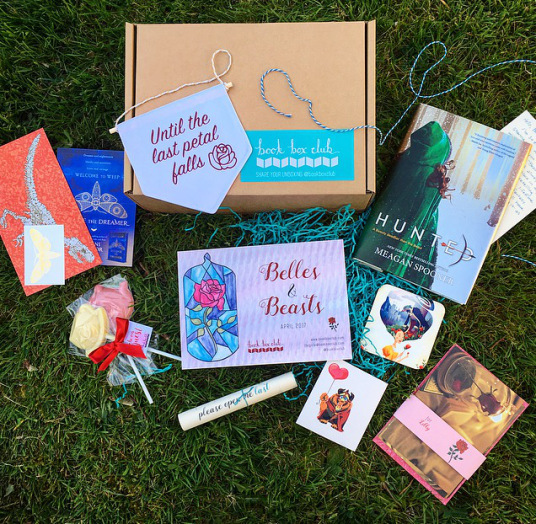 We’d love to hear about what you thought of this box and what your favourite item was in the comments below, or on our social media, it really helps to get you feedback when we are planning our Book Box Club future boxes and we love to hear if you are using/displaying our box items! We hope that all of you April members out there love Hunted as much as we did. We can’t wait to chat about it with some other uber-fans in our members-only Clubhouse meeting with Megan Spooner herself. 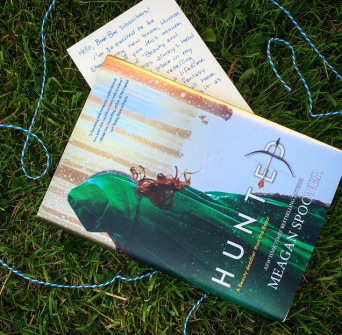 Is anyone planning a weekend of reading Hunted? Have a lovely Saturday, everyone! 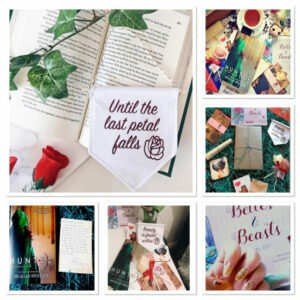 Thank you to @coffeeandstars94, @this_mama_reads, @constantbookhangover, @_jessicarichardson_, and @infinitelynovel for your lovely photos of our Belles and Beasts box.